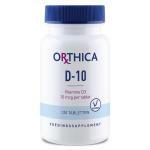 Vitamin D is an important vitamin for resistance. 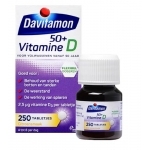 In our shop you can buy many vitamin D supplements from the best brands and in the best forms to your need. Deficiency often occurs during the winter months. 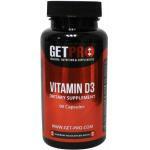 In case of a deficiency these supplements are a great way to supplement the body with extra vitamin D3. 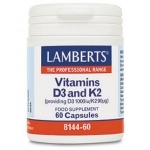 Especially prengnant women and kids (children) have a high need for this vitamin. 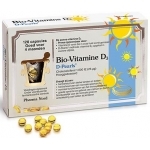 In our shop we sell many vitamin D products for very affordable prices. Never pay retail en it is quite easy to find the products you need in our webshop. We have very fast delivery in Holland and Belgium (one day delivery) and also fast delivery internationally in countries like Germany, UK, Italy and France! If you order your vitamin D here, you are guaranteed of good and safe-to-use products. 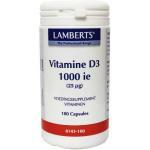 Vitamin D is an important vitamin for supporting the immune system. 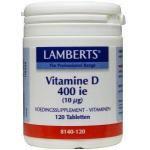 Taking extra vitamin D during autum and winter is often adviced. 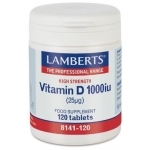 We sell different kinds of vitamin D in various dosages. 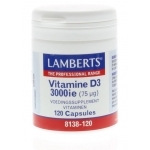 We have capsules and vitamin D in liquid form for extra good absorption. A varied diet will normally provide sufficient vitamin D, but wrong food habits (fast food) can cause a deficit in the body. 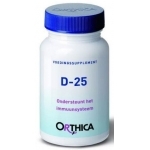 Our webshop provides you with supplements which can lessen possible shortages. Vitamin D is not a real vitamin, but a pro-hormone. Because the body is able to produce it in our skin. Vitamine D is also part of our diet, the best sources are animal products and especially fish; mackerel, salmon and herring. In addition. Unfortunately all these sources contain relatively small amounts. 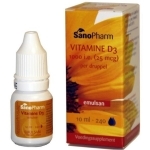 We sell high quality vitamin D from many brands. Most products are natural, the way we like it!